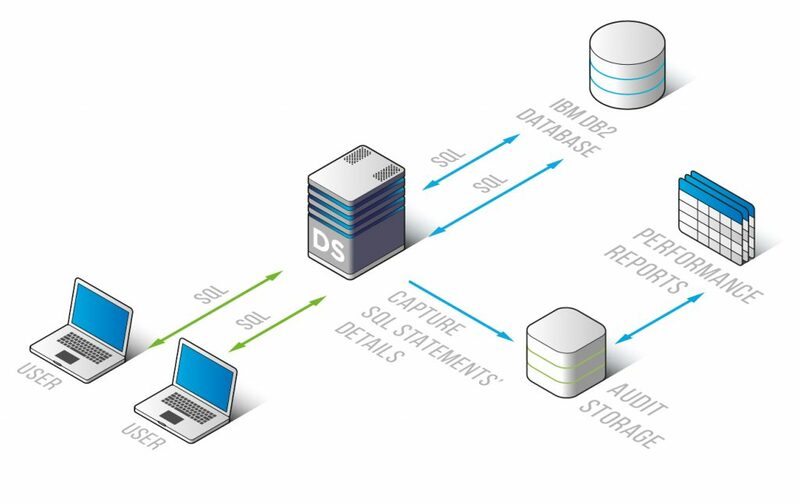 DataSunrise Database Performance Monitoring for IBM DB2 ensures accurate and deep understanding of DBMS performance. Data logged in the course of database operation may become an effective evaluation and examination means to identify vulnerabilities and problems and be helpful for finding solutions to them. Any time you confront an obstacle in IBM DB2 functionality, DataSunrise will provide you with data for DBMS performance analysis in order to spot related problems. All queries to the database are logged, that enables to spot weak points in separate operations and point out some DB performance problems. Query responses are logged as well. It may be useful in detecting weak points in the functionality of an application, when logging cannot be included in an application itself or it is there, but is not enough for some reason. Query execution time is indicated. It is also possible to see the dynamics of query change in time. Types of queries and their execution frequency are fixed (INSERT/UPDATE/DELETE/SELECT). Number of rows in INSERT/UPDATE/DELETE/SELECT operations and diagrams of their changing in time can be seen as well. Data volume that is transmitted or received by the server is logged. It is possible to get general information containing the number of operations per second, etc. DataSunrise Database Performance Monitoring Tools allow to get IBM DB2 process visibility to analyze system malfunctions and software errors as well as reveal potential vulnerabilities in the data storage system. You will be able to find out what affects database performance with no extra tools required.